Email marketing is part art form, part science. And like anything in the world of business, it takes years, and many mistakes, to perfect. Luckily, there are plenty of people who have come before us. Though these people are masters now, they started out like the rest of us, tripping, slipping and scrambling to fix their mishaps. To save you from some of the growing pains that come along with inbound email marketing, we’ve reached out to the pros to hear about mistakes they’ve made and how they fixed them. Do you have your highlighters ready? Because you’re not going to want to miss any of this crash course. Including links in emails is a common practice. After all, the whole point of email is to drive traffic to your site. Internal links to blogs, product pages or just your homepage help engage users and get them involved directly with your site. This is great…if the links work, that is. But, messing up a link is as simple as one mistyped letter, or one incorrectly placed paste. Say you’re advertising a discounted product that fits right in with the buyer’s spending patterns. The user is so excited about this product, they know they need jump on the reduced price. When they click on it, however, the link leads them to a completely different product. The result? An incredibly frustrated customer who no longer trusts your emails. A common one is sending an email with a dead or wrong link. The best way to fix this immediately? Send an email with the subject line "I'm SO sorry" or something along the lines of that. In the follow-up email, explain that you made a mistake, and provide the customer with the correct link. Also, sending a subject line with some sort of "sorry" in it gets a VERY high open rate. Sometimes, you have the link right, but the deal expires or sells out before the user has a chance to click on it. Double checking the links won’t necessarily solve this problem, especially if there is a limited quantity of the desired product. Unfortunately, the user won’t care that the expired link is out of your hands. The end result is the same. A frustrated, disappointed customer and no sale for you. The solution here takes a little more creativity, but a satisfied customer is worth some extra effort. Always have a backup redirect for your links. This way, the user doesn’t feel robbed of a deal or an experience. They’re simply being exposed to more of your great site. Make sure that they know they’re being redirected because of a deadlink and that this bright and shiny new link is still meant for them. Here is 15 email delivery tips every marketer should know. I was pressed for time sending out an email campaign for a partner promotion, and in the rush I didn't test the link before sending out. For that specific email blast, there wasn't much that could be done. I ended up sending a follow up campaign immediately after with the correct link. The learning point? From now on whenever I send out a link in an email, I use a link redirect so that if anything goes wrong with the page (wrong link, website goes down, offer expires etc) I am always in control of the traffic, even after the email blast has gone out. Don't send off your next email until you sharpen your email communication skills! Download our free guide on how to effectively communicate with your email subscribers. Communication is the key to success, craft your emails in such a way that they stand out in the inbox. Use an active voice to make a statement about your products and services. This way you are sure to get more opens, clicks and conversions for a successful campaign. You’ve crafted a beautiful email template. The images? Attention grabbing. The content? Relevant and engaging. Now it’s time to press send! Right? NO. It’s tempting to think that something you’ve worked so hard on must be perfect and ready to send out to your list, but that would be a devastating rooky mistake. Just because the email is perfect on your design screen, just because all the links check out as you put them in, doesn’t mean the product will look the same once it reaches your customers’ computer screen or phones. Before you send out your campaign, you need to send a trial email to a tester list. This way, you’re able to experience the email as the user experiences it. More people check their email on their phone than on their computer, so make sure the email looks and acts the way you want it to both on mobile and desktop. Be sure you’re checking all links and any other content that users should be able to click on and engage with. Something not working right? Great. Make any changes needed and then test it again. The goal here is to make sure you know exactly how the email will look and feel when you send it out to users. This way you can feel confident that your email will work well for all your users. It’s one I’ve made more than once and everyone has made the same mistake once. The mistake is sending an email message with a mistake in it. I don’t mean a mistake like a typo, or formatting error, or bad grammar. I mean you send an email with a link to a great offer… and the link doesn’t work. Click. Nothing. That makes people mad. You’re expecting to make sales and instead you export anger. Try and prevent a mistake like this. Create a summary of the things you will proof and test before you release your message to everyone. Send a test message to a test list of email addresses. Then slow down and read for clarity, spelling, grammar, formatting, click on the links, check it on a smart phone, and make a purchase if it’s a sales email. Then check your reporting to make sure all your tracking is working. While you’re doing this testing, someone (probably your boss) will make changes. If that happens, you absolutely, positively must test all over again. I guarantee if you don’t, something that worked before will not work this time. Technology is constantly changing. To stay up to date and exciting to your users, chances are you’ll face some unfamiliar software a few times in your career. While these changes are necessary, they can also be a little bit dangerous, especially when it comes to email. Using a new software or program within your campaign is a big learning curve, and if you don’t fully understand the changes, mistakes can be made. Sometimes these mistakes will affect the entire email, wasting the time, money and energy of your marketing team. Not to mention frustrating your customers, potentially causing them to unsubscribe from your email list entirely. Staying up to date and informed on how each of the products and software used in your email campaigns work, can help make sure your emails come out as beautifully as you intended. This is another place that testing an email before you send it out becomes important. 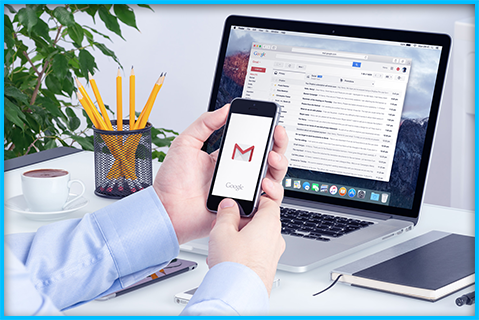 By testing the email, you’re able to ensure the email works well, regardless of any changes or updates made. I was Director of an email marketing team that was making technical changes to our email delivery platform. One of the system admins forgot to turn something back on, and when a pre-scheduled client campaign went out it sent the same email to each recipient several times before we shut down delivery. We quickly crafted an apology email and sent it out. While it did generate a handful of unsubscribes and some negative feedback, it resulted in a better QA process and a closer client relationship, both of which paid dividends in the long term. Chances are, at least once in your career, you’re going to have a dramatic technical issue. Whether it’s part of your system shutting down, a software change that dramatically changed your emails, or something going wrong with your email service provider. Murphy’s Law tells us that when something can go wrong, it will. When you’re working with technology, chances are the thing that’s going wrong is technical. With testing, you can minimize the chance for error, but even then, things can hit the fan. Say one of the products you use updates after you send out your email. This update completely changes the way your email operates, but the email is already out in the world and there’s no taking it back. The first thing you need to do is try to stay calm and quickly figure out what the problem is. If the problem is taking a while to unearth, be sure to send out a follow up email explaining you’re having technical difficulties and a bright and shiny new email will be out ASAP. Once you’ve identified and solved the problem, send out the working email, while acknowledging that the previous one was incorrect. People can’t be perfect, we all make mistakes. But when you acknowledge the mistake, moving on from it becomes a lot easier. After frantic calls to support for both the ESP and the survey platform, I was eventually able to discover that what had happened was that the survey provider had made an update on their side which then caused any redirect links from the email platform to the survey provider to break. There was no real way I could have caught that, because it had just happened earlier that day. The ESP was only just becoming aware of it because the survey platform was so rarely used that only a couple of bug reports (including mine) had come in…Really, there are some email marketing mistakes you can’t avoid or foresee - even the best-laid plans can fail. The nature of email marketing means that there are rarely opportunities for take-backs. However, what you can do is work diligently to fix any mistakes and be proactive about how you are going to respond. WANT TO IMPROVE YOUR EMAIL DELIVERABILITY? We value data here, and if you’re in marketing you should value data as well. Good data helps you connect with your users, personalize campaigns and overall increase your ROI. A poorly informed campaign, however, can have the exact opposite effect. Poor data can cause you to send emails out that the users aren’t interested in or, even worse, send out emails to addresses that either don’t exists or are related to spam. This can be detrimental to a campaign because the hard bounces and spam reports that result from this type of behavior lead to a poor sender score, and can cause your emails to be automatically redirected to spam. The solution to this problem is relatively easy, though it can be time consuming. It’s important to analyze all your marketing data before you send out email blasts. Be sure you’re segmenting your data based off valid, accurate information. The easiest way to ensure your data is valid is by implementing an email verifying software, like Xverify. By ensuring your email list is full of real, engaged users, you can build campaigns with confidence. The more informed a campaign is, the bigger ROI you will see. Check out our guide on how to improve your email deliverability. Sharing IPs is a common practice in business. While it may seem like an effective way to run multiple sites, it can actually endanger your email campaigns. With shared IPs, you’re at the will of all the businesses and individuals on the IP. This can cause slow sending times, slow loading times, and put your content in danger if one of the other sites gets hacked. These risks may seem necessary when you first start your site, but when it comes to effectively running your individual email campaigns, it may cause more trouble than it’s worth. The potential site crashes or campaign pit falls that come with shared IPs can be solved with having a single IP for your site. Individual IPs can often times be costly, so you can also consider mixing both shared and direct IPs. This way, though you are slightly relying on shared IPs, you also have more control with your direct IPs. If you are going with a dedicated server make sure you warm up your IPs. With a partially direct IP, you can have a backup plan when things go wrong with the shared IP. Don’t let yourself be backed into a corner by completely relying on shared IPs. Relying solely on shared IP pools for delivery. You are at the mercy of everyone else who sends on the shared IP pool and it can have a negative impact on your delivery. We fixed it by growing our own dedicated IPs and taking advantage of both our dedicated IPs and shared IPs. While both shared and dedicate IP pools have their strengths and weaknesses, you should always have a plan B in case one or the other suffer delivery issues. Also, if you are interested the 2nd biggest mistake is not cleaning our lists enough. In the bulk sender email world, cleanliness is next to Godliness. It’s easy to get lulled into a sense of security with email marketing. You maintain a schedule, people are opening your emails. Smooth sailing. Nothing to worry about. Except that there is. People get bored easily. If your emails have the same content each time, you’ll see those email open rates slip, and eventually fall off the charts all together. An effective email campaign takes constant changes, fresh new content and having a thumb on just what your readers want and expect from you. You have to stay on brand, but you have to keep them excited and engaged. We said it was an art form, didn’t we? Luckily, the answer to this problem, as is the answer with most email related issues, is testing and data. No matter how beautiful your emails are, if they’re uninformed, they won’t make an impact. Testing your audience to see what type of emails have the highest engagement rates, what segments excel with what content, and regularly updating your data is all in a days work for email marketers. But if you maintain a work schedule that is equal parts data analysis, creativity and maintenance, the inbox is yours to conquer. One of the biggest mistakes I have made in email marketing was being complacent and running the same offers continuously to the same data, the database needs to see fresh offers daily and the rotation of offers need to be unique and if you run the same offer more than once a week, that is a huge mistake. I have corrected my errors by doing split a/b/c/d/e/f/g testing, to a multitude of offers. Working with many unique offers in the Marketplace and finding what works best for my data sets based on user engagement. It is easy to get caught up in running the same advertisements too many times. Find a unique offer, make your revenue and move on to the next advertisement, as it will perform just as well and even better as your data is seeing something unique. Your revenues will increase. In talking to all of our email marketing pros, one theme kept popping up. Testing! You may have caught onto that by now, or at least we hope you have. But sending out test emails to make sure everything works properly isn’t the only test you need to be doing. As we’ve said, emailing is hard. You have to engage the customer enough to convince them to open the email. Then the email itself has to be eye catching and personalized to the point that the customer clicks on your links and looks forward to what your next email might contain. But how do you know what will work and what won’t? Let us introduce you to the little beauty that is A/B Testing. No matter how much research you’ve gathered, it’s hard to tell which headline will work, which image will get the most clicks or what layouts get people most involved. An A/B Test helps you figure out these intricacies. When you’ve decided on your two top options, send one out to one test group and another out to another test group. Track the users behavior and see which detail gets the best results. This is the winner and what you will use in your final email. You can run A/B tests on anything from tag lines to timing. Just make sure you run them. These tests can help make your campaign a success, and avoiding them is a huge misstep. The surprising fact? Split testing is king… and queen. Don’t argue over which subject line will win. Send two different subject lines and compare the results. Here’s a small sample of things you can split test. A vs B. Test subject lines, from address names, length of email, body copy, offers, formatting, number of links, type of links, color of link buttons, images, images with captions, number of images, calls to action, signature lines… etc. You can’t really test everything in one series but over time your split testing will teach you about your audience and how your audience reacts to things. Here is an example of this surprising fact in real life. Some email marketers will swear that using the reader’s first name in the subject line is guaranteed to increase open rates. Another email marketer will claim it doesn’t matter. They are both right! Run split tests and find out for your own self. We’ve all been there. Things haven’t gone quite according to plan, projects ran late and now here you are with an email that is just finished on the day you had hoped to put it out. Before you start thinking, “Well it’s not an ideal time, but it is the day on the calendar I was hoping for. Let’s just send it!” Stop yourself. You have worked incredibly hard on this campaign. You want it to be seen. But if you send it 8pm on a Tuesday when the scheduled time was 5pm that day, will your email have the same effect? Chances are, they won’t. No matter how catchy the title, if your users aren’t active when you send it out, you run the risk of your email getting lost in the inbox. With most things in life, timing isn’t perfect. And while emails can’t be sent the exact moment your user is looking at their mailbox, eager to read your email, you can narrow down that gap a little bit. Through testing, you can figure out when your target user is most active and most likely to open your email. Missing this chance and sending emails just whenever they’re done, puts you in the email slush pile, unlikely to be seen or opened. I would say one mishap I made when I first started out was sending an email early. I was testing subject lines to increase our open rate and split our audience up 20/20 with the “winning” email going out to the rest of our email list (60%). I proceeded to set the time I would like the winning email to go out. I didn’t realize in order for the email to be sent out during my specified time, I had to select a small box (I wasn’t familiar with the platform yet). I ended up not doing this, resulting in the winning email going out right when the test completed. I didn’t realize this is what happened until I received a copy of the email earlier than expected. There really was nothing to do to fix the problem. I saw this as more of an internal issue as our audience didn’t have any clue what time they were supposed to receive this email. On a plus side, we noticed a slight uptick in open rates with an earlier send time. This pushed us to conduct an A/B test to learn more about our customers. This point should be a given, but for new emailers, it’s not. When you don’t know where to begin, slapping some content together, crossing your fingers and pressing send seems like a pretty good option. While that’s understandable, pump the breaks. Diving in head first without a plan can get your email campaign off on the wrong foot. Recovering your image with your users is difficult, and if you’ve already been sent to spam, it could be impossible. The solution here is to create a plan. You can start out small with a simple welcome campaign. Figure out what type of emails you want to send, the message you want to get across, and how you want the user to react. Then, as you start to send emails out, track your progress and how your users are interacting with your content. Then, make changes as appropriate. As you tweak your campaign, make sure you’re updating your marketing plan. The more of a layout you have, the easier your campaign becomes! The biggest email marketing blunder I’ve made is not making the time to develop a robust marketing plan. Not having a plan has a cascading effect: the marketing and merchandising teams are unclear of your goals, the design team is confused on their tasks and deadlines, and this leads to less time to test which leads to a higher likelihood of mistakes in deployments. We fixed this issue by developing marketing plans well in advance so we have time to explain our goals, tasks, and deadlines to the broader team and have time to properly test before each deployment.